In case you haven't noticed, I am pretty much always on the hunt for the perfect dress. It's an easier task in the spring summer season as you really just have to find a dress that can be thrown on, will look fine with a pair of sandals and out the door you go. But, winter is an entirely different story altogether. For the colder season you have to think about how the dress will look with boots, coats, scarves and more. Dresses have to have layering potential for an autumn winter seal of approval. 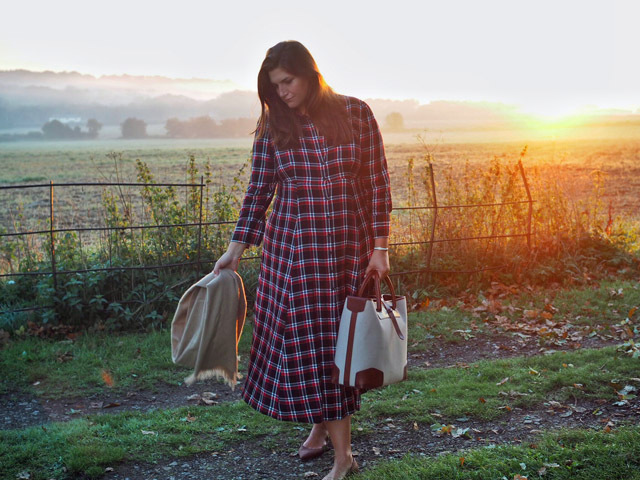 Saying all of this, I've found my first autumn winter dress purchase and I can guarantee you'll be seeing much more of this beauty as we move through the season and it's the ultimate layering piece and it's from Marks & Spencer, which means it's affordable for all and will last through many washings! Get involved now. I predict a sell out.